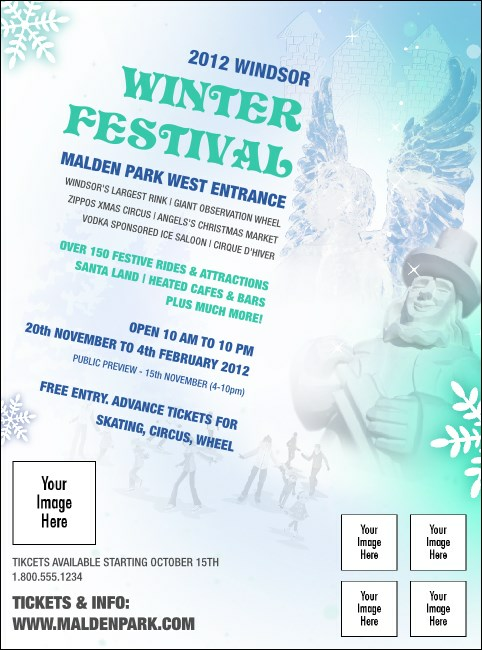 Winter may seem bleak, but you can warm people up to the idea of winter fun by printing Winter Festival Flyers for your next event. These Flyers display all the pride and joy of a winter gathering, with a snowman, ice angel, and delicate snowflakes all in a unique design. Upload five of your own images to the template for extra advertising space! Keep your business in season with TicketPrinting.com.